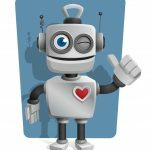 When one thinks of toys they are flooded with a million choices. 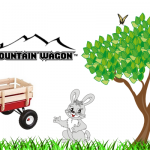 KSM Toys plays homage to the classic wooden toy of the past. Matador wooden construction sets have literally stood the test of time and for some of us bring back fond memories of our early childhood. 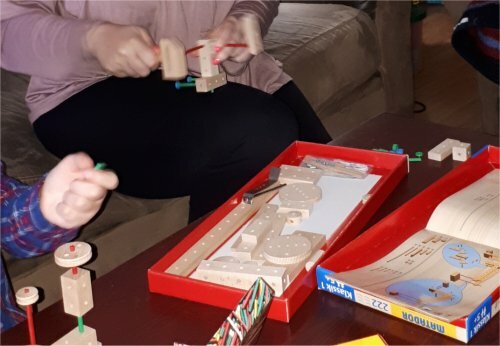 Panted in 1904 by Austrian engineer Johann Korbuly, came a wooden toy construction set made of blocks that you connect with wooden pins. In the 1930’s Matador toys was seen as the ideal educational tool in schools across Europe. 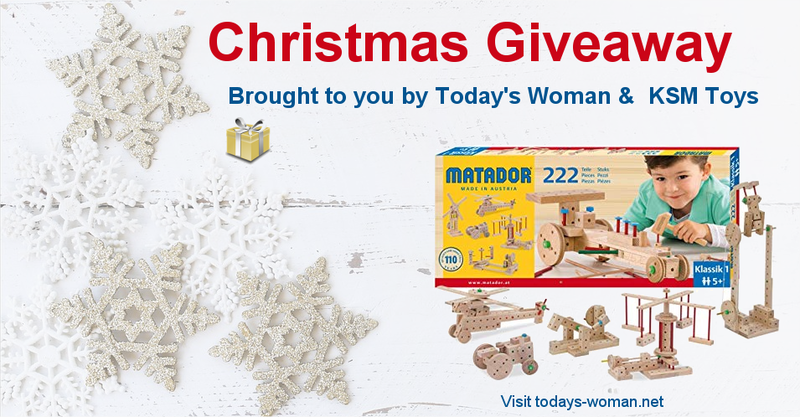 Fast forward to Christmas 2018 and Matador wooden construction sets are the perfect gift for a childhood unplugged. Matador is available for two age groups; Matador Ki (Ages 3 to 5 ) and Matador Classic (Ages 5 Years +). The parts are made of untreated wood from copper beech trees, grown in Austria in environmentally sustainable forests. Matador wooden construction sets readily foster creative design and intuitive play. From an educational perspective, these kits help children develop their cognitive and fine motor skills. The kit combines three basic elements of play. With Matador, movement, motor skills and higher order thinking, provides open-ended learning. Each Matador construction set includes a catalog of building ideas giving you a place to start. Of course, your child can implement their own ideas, because with Matador toys there are no limits to your child’s creativity. Matador wooden construction sets meet international safety standards and only use paints that are non-toxic and free of unwanted chemicals. The wood quality of the construction set is superb considering the wear and tear it goes through with building and dissembling ones creations. Our 222 piece set includes an assortment of tools and instruction manual with assembly guidance for 66 different models! 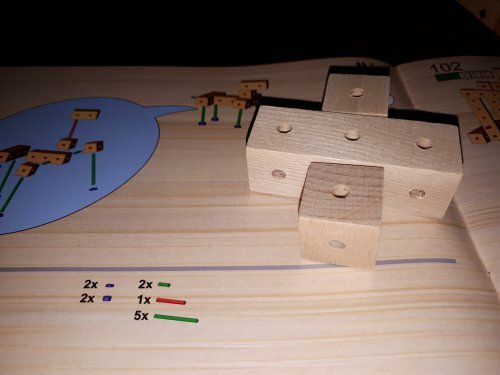 As a parent, I love that Matador wooden construction sets engage a child’s visuo-spatial style. Miss P was super excited to see her new construction toy and we started building with it right away. 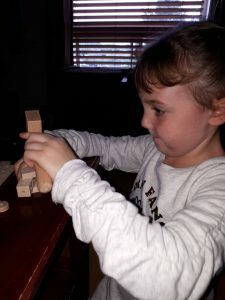 Though in the beginning she needed a bit of guidance, she is now building things independently. At first we started off with a simple structure and then moved on building more complicated ones together. She has now ditched the suggestion guide and is using her own imagination to build. 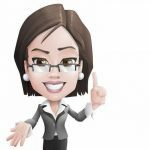 I love that Matador encourages her imagination and helps bring her ideas to life. Miss P’s 28 year old sister Megan who has a traumatic brain injury even gave it a try. As an occupational tool, Matador toys are great for working on visual perceptual skill development and fine motor skills. 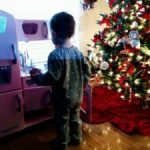 This upcoming Christmas season give your child a gift they can enjoy playing with now, while also providing skills needs later in life. 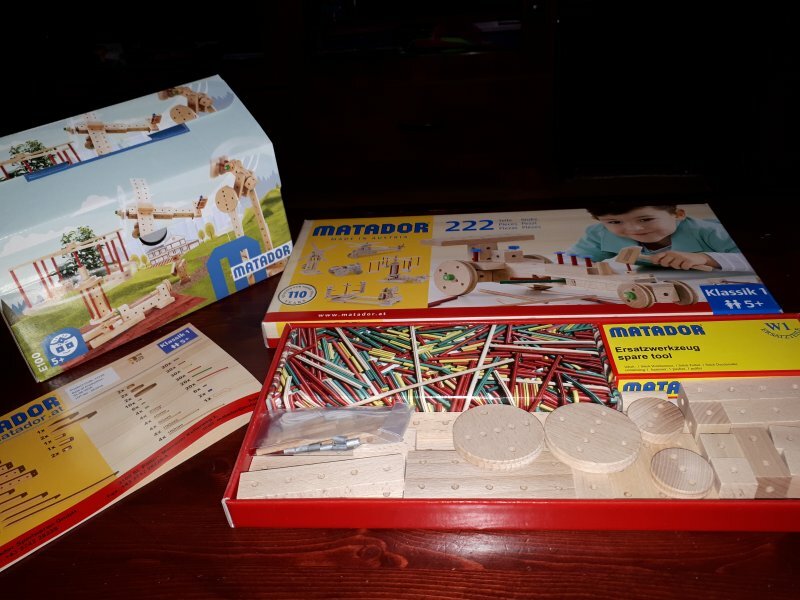 Each Matador wooden construction kit is slightly different, so be sure to check out the full selection of Matador wooden construction sets to find the best set for your child. 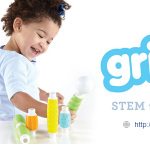 If you’re looking for educational and creative toys for your children this holiday season, pay https://ksmtoys.com a visit. Also available via Amazon-ETGtoys. It is so cool! My kiddo would love to build and create with it! I think the set is really unique! You can build so many things. It seems like a great toy to help build imagination and creativity. I also really like the look of the wooden blocks compared to plastic sets. Would be lots of fun for my kiddos and they would use their imagination not be sitting in front of a screen! My kiddo loves to build, and this is something different! No batteries, I’m in! It’s great for kids to learn an play and creat their own pieces. I think it looks great! Looks like kids can have lots of fun to play with it with their imagination! The Matador Wooden Construction set really remind me of the Tinker Toy we spent hours playing with growing up. It definitely was a favorite toy. 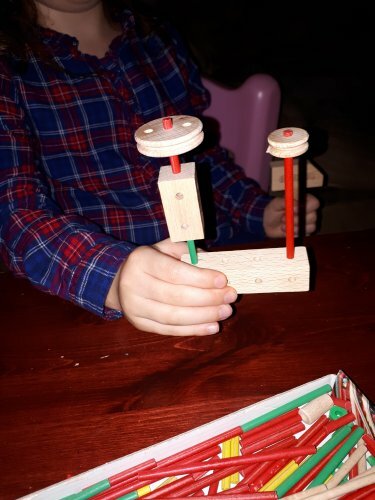 Kids need an abundance of products that allow them to utilize their hands in different ways, get their creative juices going and have a toy like this where they can build whatever that want, tear it down, and build something else. 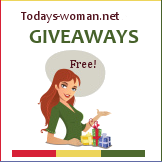 Thanks for the super giveaway opportunity. Another creative toy for kids who need more playtime. Perfect Christmas gift for any young’un. I am interested to see how this would work in a kindergarten classroom. I haven’t heard of this before. I can see my son and daughter both enjoying this. Thanks! I absolutely love this. What an amazing way for kids to learn and to use their imaginations! I know our son & his cousins would have so much fun with this! I think it’s really great that the wood is untreated and grown in a sustainable manner! Toys that allow creativity are great. I like that they have sets for preschoolers and for older kids as well. I love that they look to be great quality and there is such a variety of blocks to build with leading to endless possibilities. I think this is something my niece and nephew would love. I love the originality of the items in the Matador wooden construction sets. This is so cool! I love open ended toys like this that stimulate creativity!! The wooden toys are fantastic for the kids, they are perfect and last forever !! Love these wooden toys! My boys would love it. I am such a fan of wooden toys. They are so durable. I love the spinning tops in the catalogue. So much fun for the whole family. Let’s our creativity flow. The Grip Trucks would be fun. My grandson would like that. I think there would be hours of fun with this set. I think that this would be a lot of fun for the whole family. The Bathworld Water Table on page 14 would go over really well in our home. I think my boys would have a lot of fun with this toy. They remind me so much of TinkerToys that I used to play with as a kid. Absolutely love this idea for hours of fun and creative play! 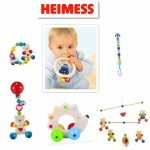 I like this toy as it teaches children to think and helps them to be creative. 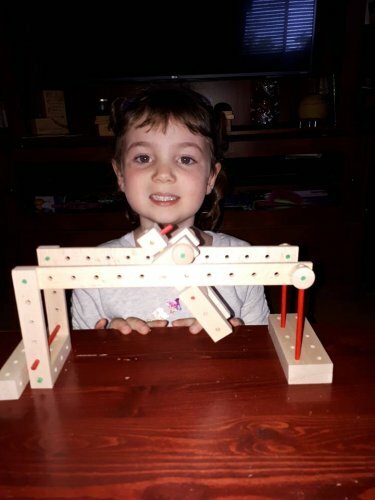 another product that we would be interested in is marble run. I love wooden toys, and these look really creative! Building is not only fun but educational, so this toy definitely seems like a good one and one that will last and provide hours of entertainment for my son. I remember these. SO much fun and I bet they are all great quality! My son would love it! Thanks! I love any toy made of wood! They hold up for years! I loved these as a child and was so excited to see them. I really have all my fingers and toes crossed. Another product of interest is the Multicolor Spinning Top. I had one just like it when I was little. I think these toys are beautifully made! I love anything wooden. Another product is of interest is the Planes Explorer! I think the Matador wooden construction sets are amazing they let kids be so creative !. I think the shopping mall building blocks would be a lot of fun. I think Matador construction sets are great fun to start with and help develop fine motor skills and problem solving. But all this happens during creative play. I remember going to my grandmothers house when I was little and she had sets like this and I would sit and play for hours, I loved being able to build stuff, and I think my grandchildren would love these sets!! Those looks like a really well made toy, I know my daughter would love this set! I love all the spinning tops they have in their catalogue. The train top is especially cute! The Matador wooden construction sets look very high quality and like they would inspire creativity. 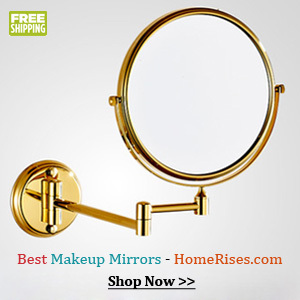 They would make a perfect holiday gift! Looks like so much fun , great for the kids to get creative!! I know my grand kids would definitely enjoy this very much ! !